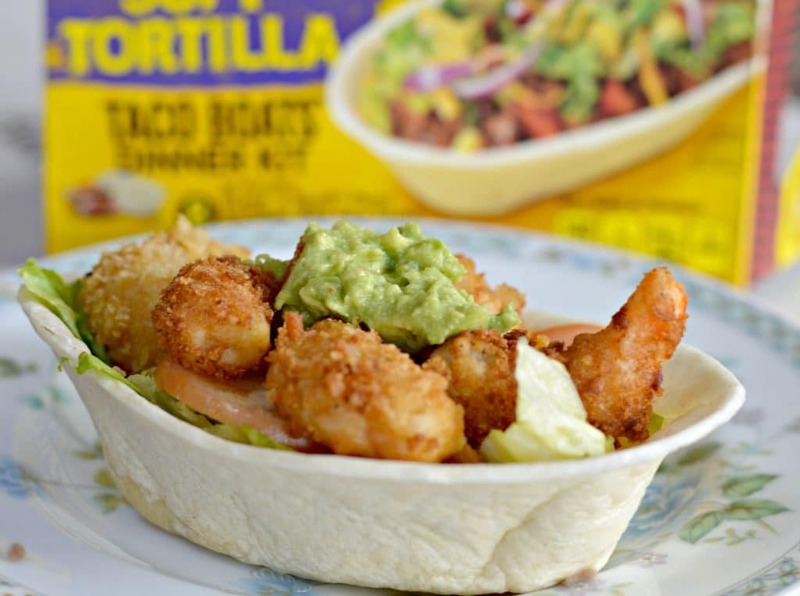 If you are a fan of sports like we are, then you will love these extra crispy shrimp tacos bowls for game day! 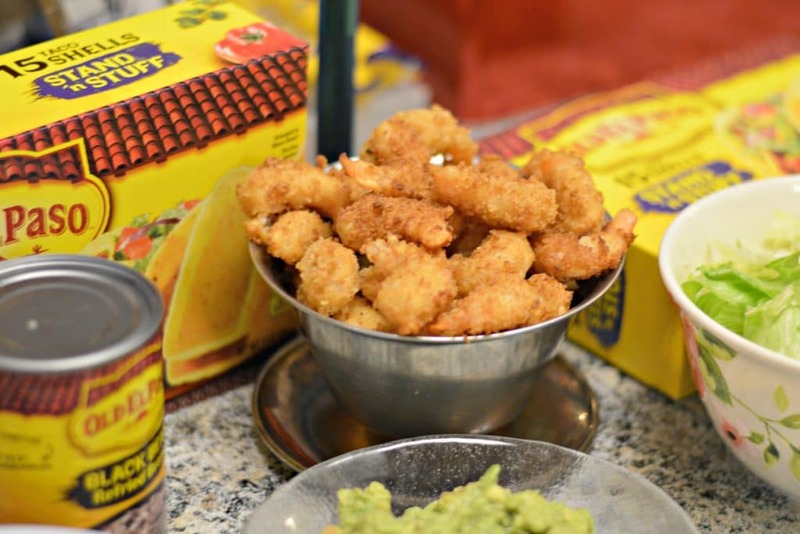 The shrimp are breaded with an extra crispy coating and they go perfectly inside these flour tortilla boats from Old El Paso. 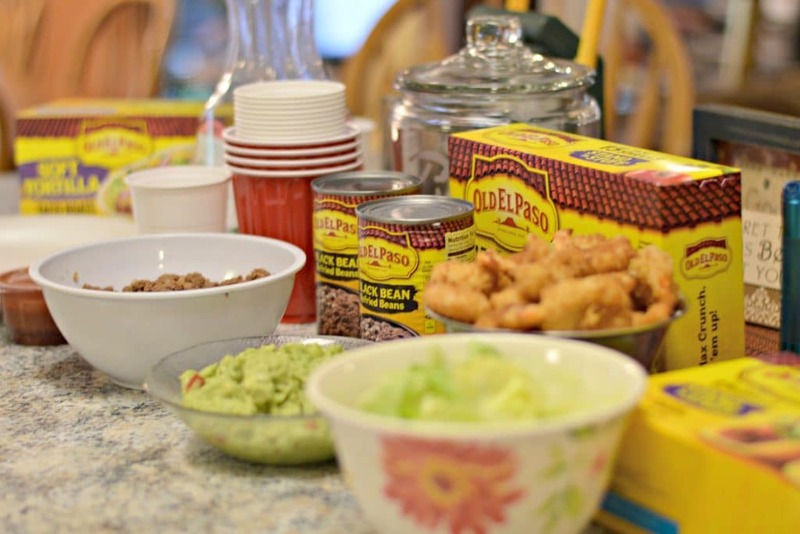 Keep reading below, and check out this link for more great products by Old El Paso. When I moved to the United States in 2010, I was not a huge fan of football. Growing up in Mexico, I followed soccer very closely, but I never had much of an interest in football. My dad and brother always liked to watch it, but I usually tuned out when they did. It wasn’t until I moved to the United States with my husband, who is a huge football fan, that I started watching and enjoying it a bit more. In the past few years, I have become a pretty big fan, and I often find myself watching the games on the weekends with my husband. One thing that I learned in a hurry is that there should always be some delicious food to eat while watching the games! 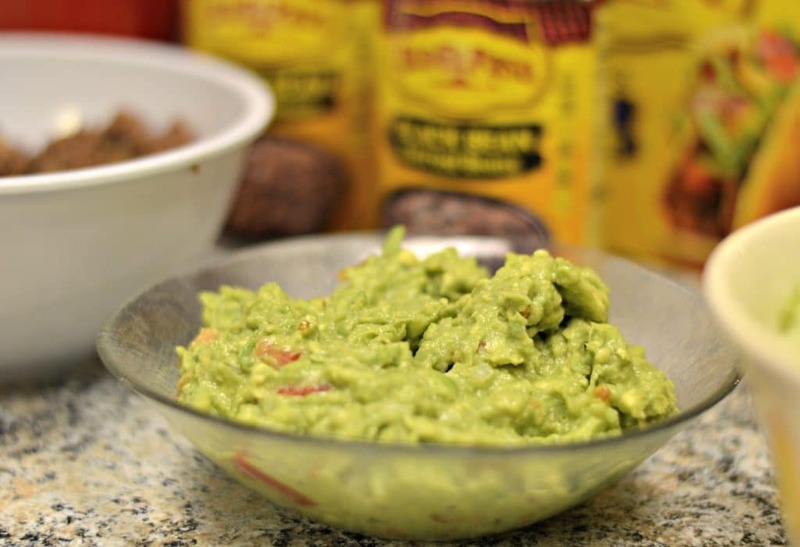 We always have a fun time deciding what food to make and share with everyone on game day. Last weekend my husband’s favorite team was playing a pretty big game, so we decided to go over to my in-laws’ house to watch it with them. Since a lot of us were going to be there, we decided to do a simple taco bar. 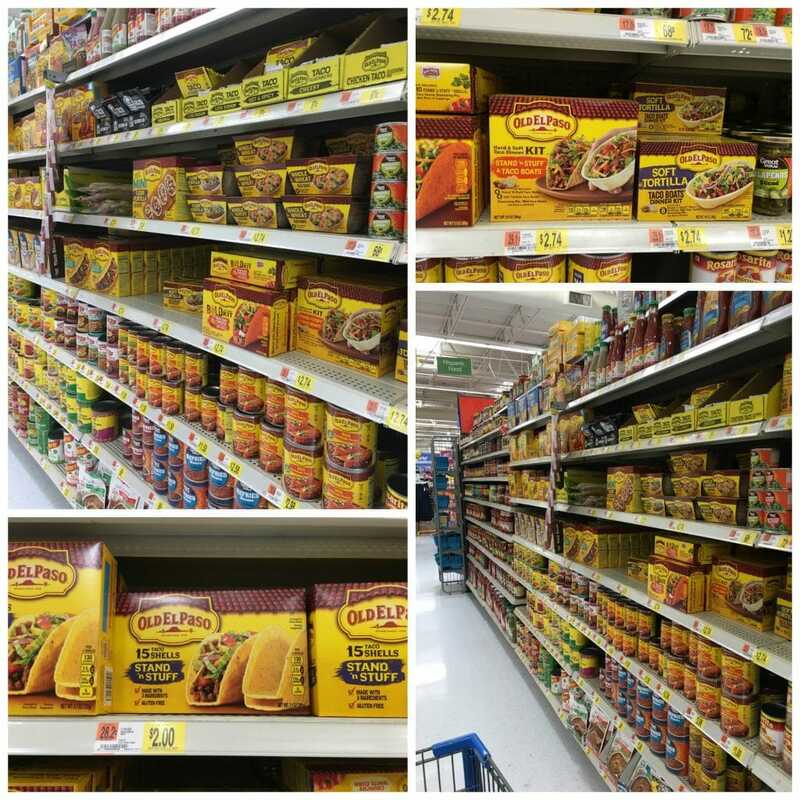 It consisted of two different kinds of protein- ground beef, and extra crispy fried shrimp, lots of veggies, fresh guacamole, and of course Old El Paso Flour Tortilla Boats and Stand ‘n Stuff Taco Shells which we were able to find at a great price at Walmart. As you can see, there was plenty of food for everyone to enjoy! The biggest hit of this feast was the extra crispy shrimp taco bowls. 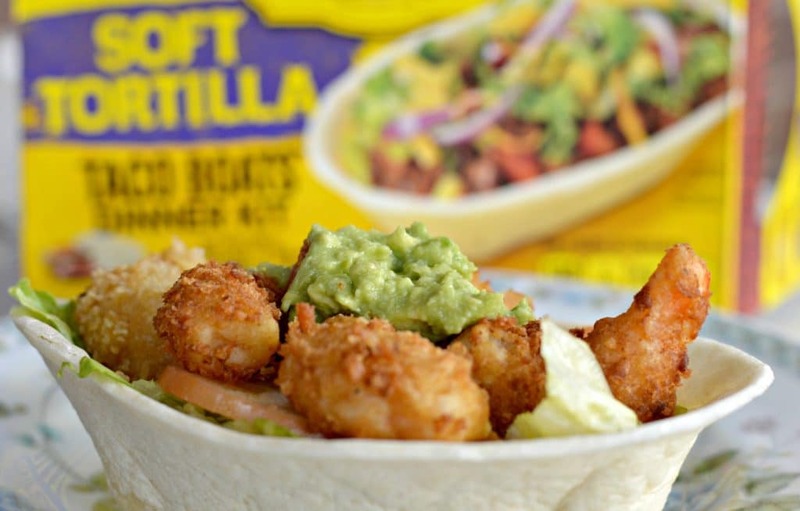 We made a great batter for the shrimp (see recipe below) before frying them to perfection and adding them on top of a bed of beans, lettuce, and tomato in an Old El Paso Flour Tortillas Boat, and topped with guacamole. Everyone loved this game day spread and there was definitely nothing left over when we were done! I hope that you enjoy these as well! 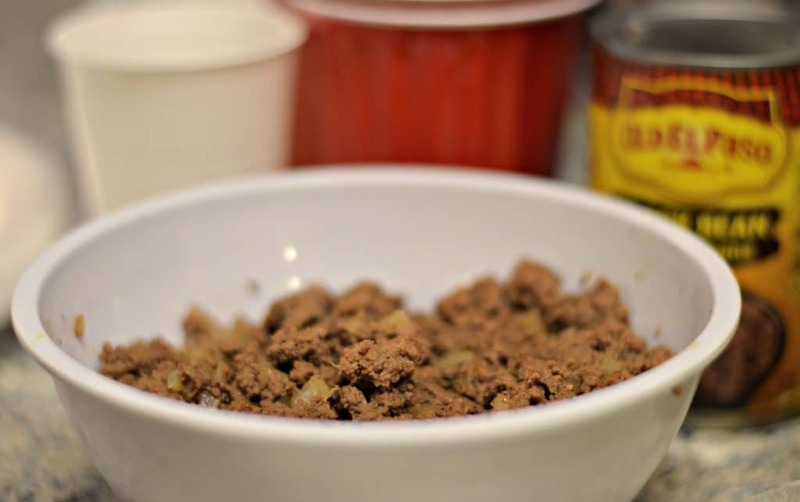 Let me know in the comments below what your favorite game day foods are! 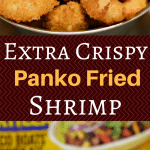 Start by rinsing all of the shrimp and setting aside in a bowl. 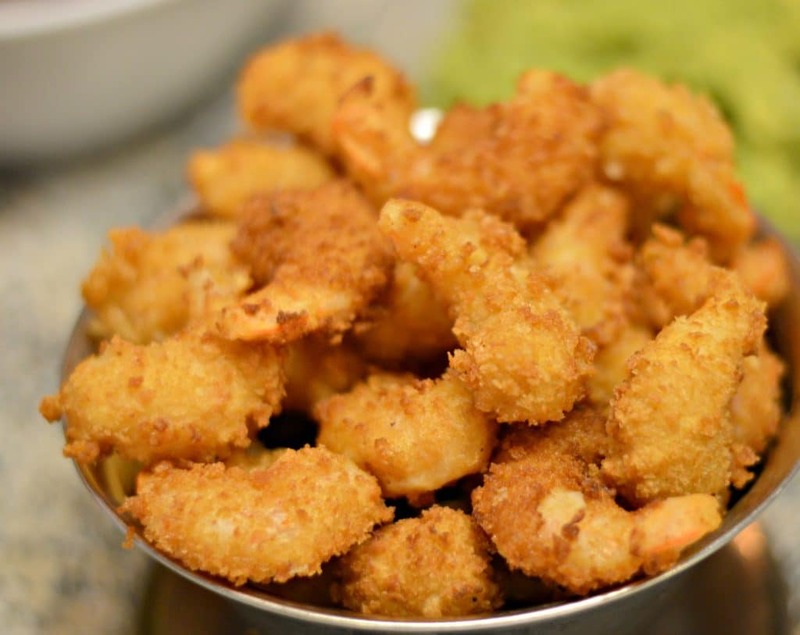 Fry the shrimp in a fryer or a pot with oil.